Today has been a slight struggle in the movement department. My quads are still shot after my intense workout at Unite on Wednesday, but I managed to make it down there again this morning for a good upper body session. 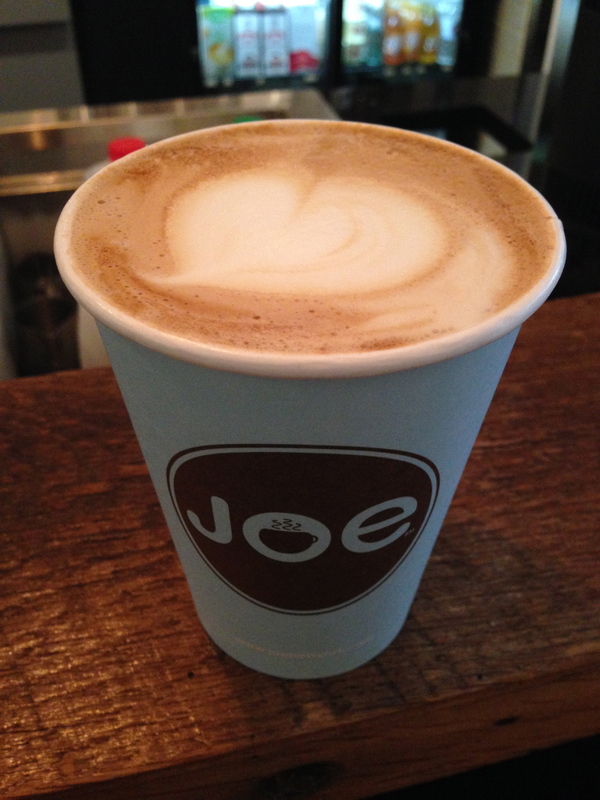 We went to Joe, and I ordered an Americano misto, which is an espresso with hot water, and topped with steamed milk. Since my coffee consumption has been limited to Wawa lately (it’s 1/3 of the price), this legit hot beverage tasted pretty luxurious. Kat and I parted ways around noon, as she had a Pure Barre class to attend, so I stopped by Trader Joe’s on my way home to grab a snack. 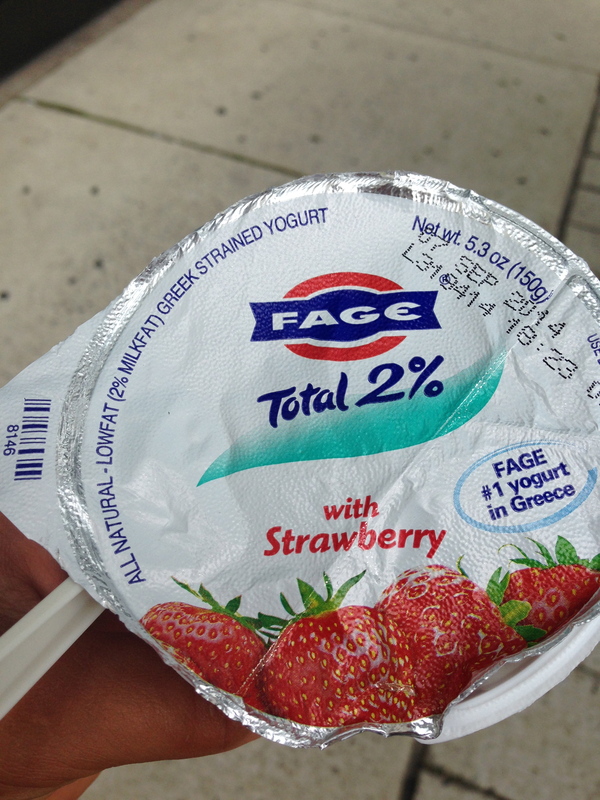 In addition to some Fage 2% yogurt, I got some frozen mango, plain 2% yogurt, almond butter, and bananas. 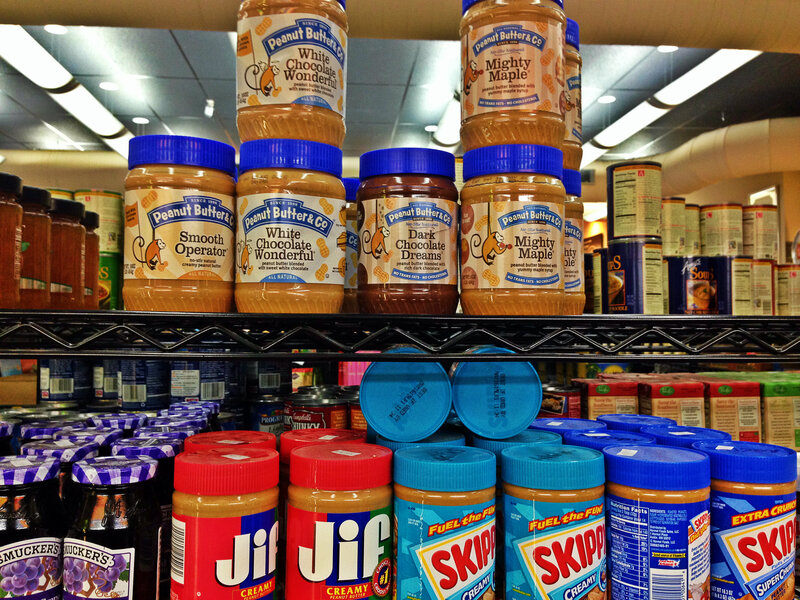 I know TJ’s is recalling a lot of their nut butters, but I’m planning to ignore that and keep on truckin’. 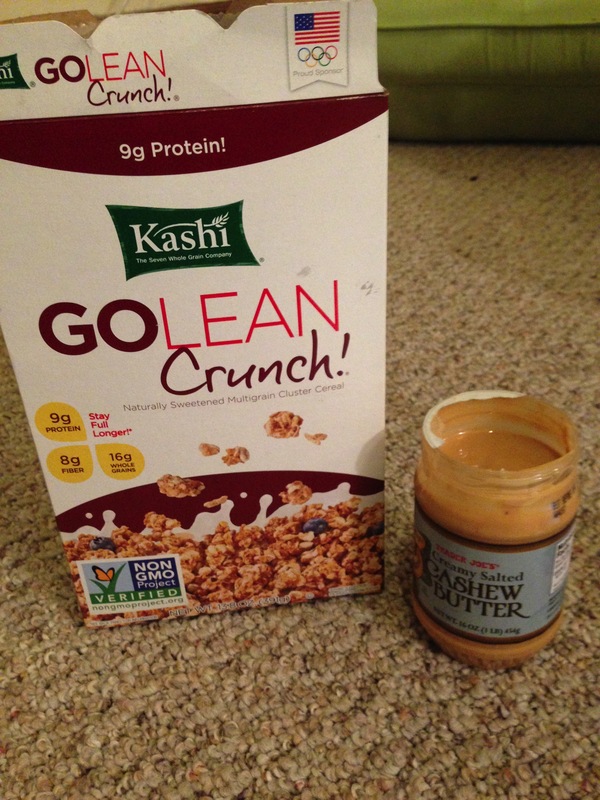 I figure it would have affected me by now, considering how much nut butter of theirs I consume. 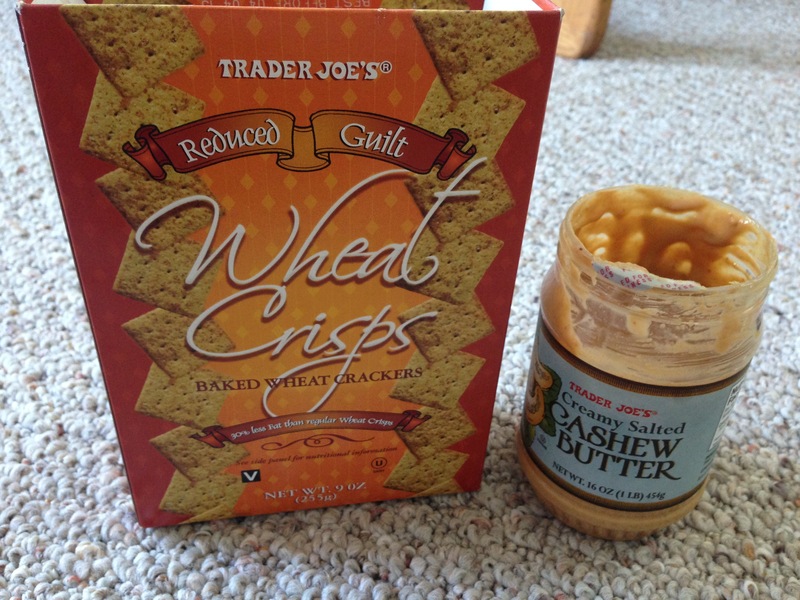 The rest of my lunch today featured the ingredients that I bought today at Trader Joe’s. Shocking! 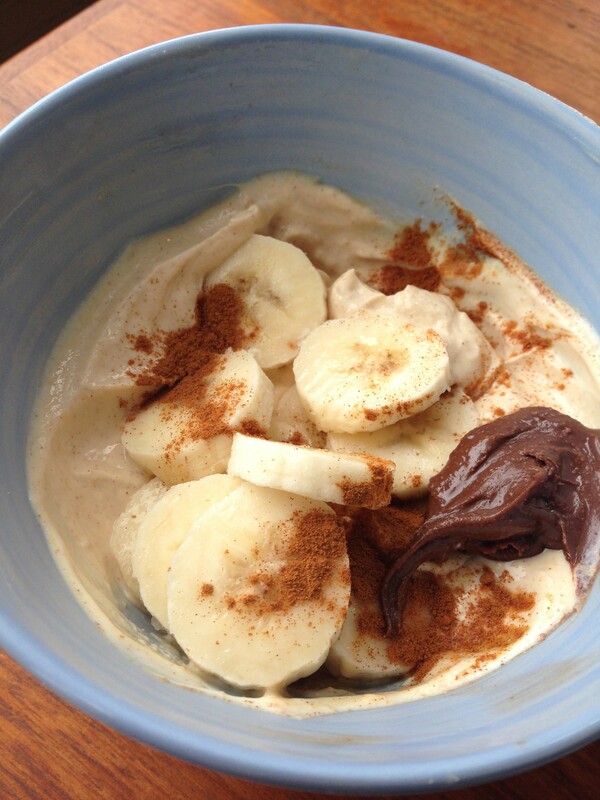 I combined some 2% plain Greek yogurt with some cinnamon and PB2 (!! 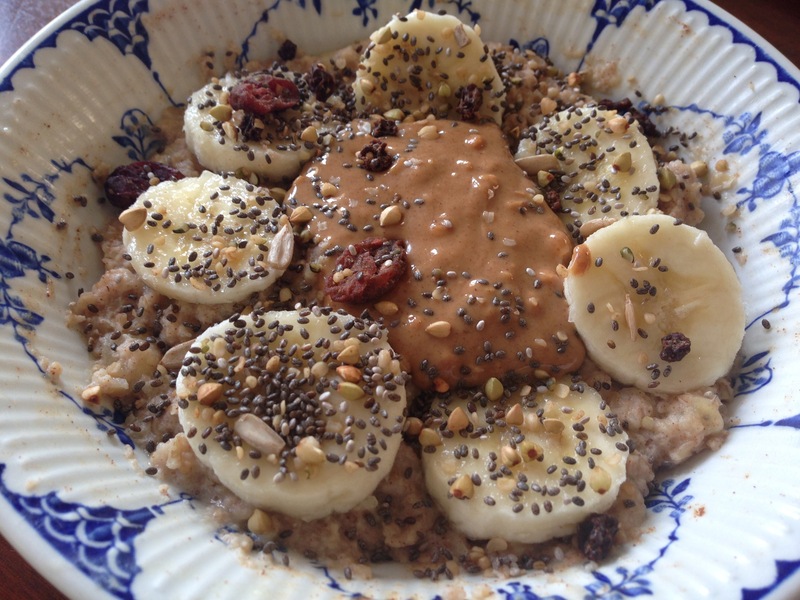 ), and topped it with a banana and a little of the Peanut Butter & Co’s Dark Chocolate Dreams. Friends, we are going to have a serious chat about nut butter soon, because my obsession is out of this world. PB2, Dark Chocolate PB, Almond Butter, and Cashew Butter, all in one week?! Okay, this is a grocery store- but it could very well be mistaken for my pantry. I’m considering renaming this blog to: “Nicole is Nuts”. Alrighty, moving on to a couple of things I’ve been loving this week! 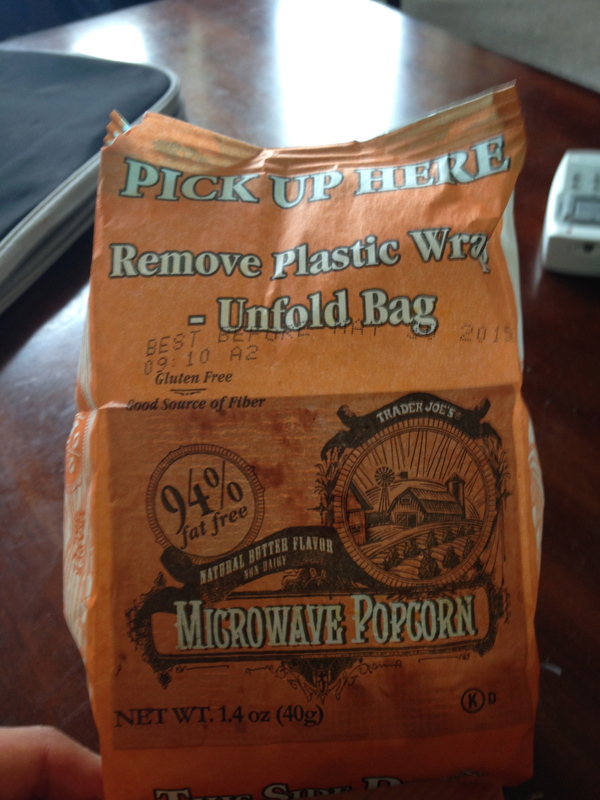 Usually I go for pre-popped popcorn at school, simply due to convenience (Angies’ Boomchickapop is a huge fave), but since I have easy access to a microwave here, I’ve decided to go for the slightly cheaper option: microwave popcorn! 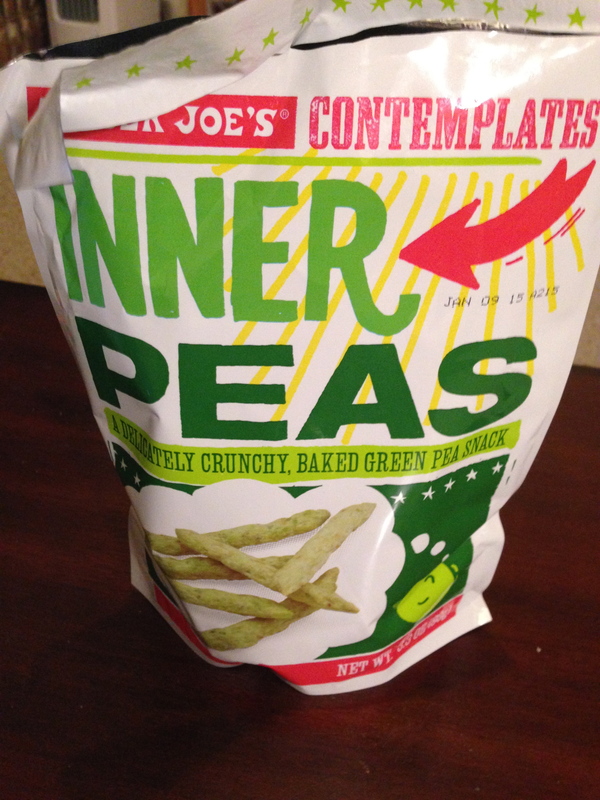 I walked right on by the cracker aisle at Trader Joe’s today, knowing all too well that if I stopped and bought some, that they would become lunch/dinner/every meal for the next couple days. Come on, Nicole, let’s get some veggies in there. I’ve been listening to his Spotify station non-stop, mostly while doing work, and I’ve been loving all of his songs. My favourite songs are Stay With Me, Money On My Mind, and Latch. (They’re also the 3 top songs on his page on Spotify). 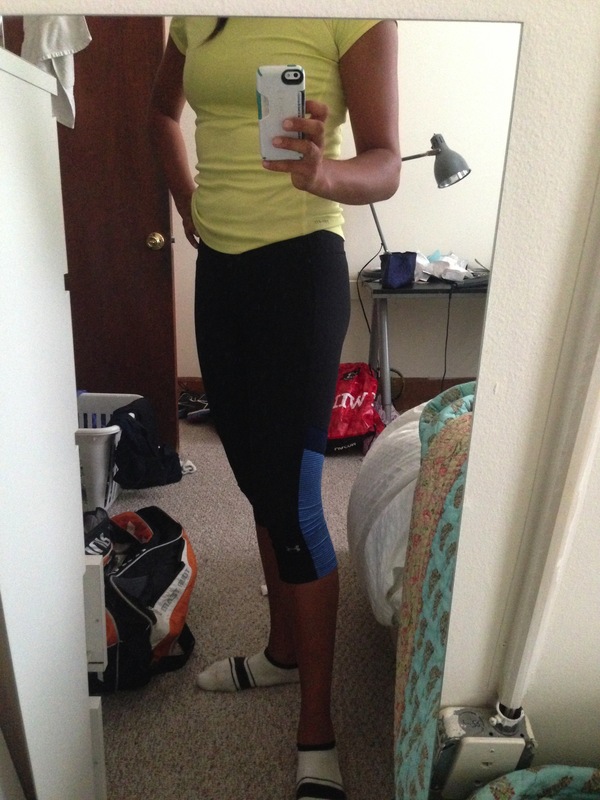 Usually I’m a shorts girl, but I’ve begun putting capri pants into the rotation a little more often. I’ve found them to be great for spinning because they don’t ride up and cause pain in sensitive areas, and for wicking away sweat. Not to mention, they’re comfy, and make your legs look good! Win win! Alright, time to get out of bed (I tried to take a nap, but that didn’t work too well), and go play squash with Nabilla! Some serious foam rolling time is going to be in order this weekend, and fortunately I found an actual foam roller in the apartment, so I don’t have to resort to a vodka bottle and candle like last time. Friday Friday Friday, we made it! I was a little worried that I was going to wake up as a zombie like yesterday, but thankfully I felt motivated to head to Unite this morning. Although we were doing low #’s of reps (5 max), we were using heavy weights. Our circuits were composed of only two exercises, with little-to-no rest in between sets, meaning our muscles didn’t have much recovery time! As someone who is better at cardio than strength, I’ve really enjoyed how Unite pushes me in both areas. I’m learning a lot, improving, and have yet to do the same workout twice, which keeps it interesting! And now, here’s what’s on my Favourite’s list this week! 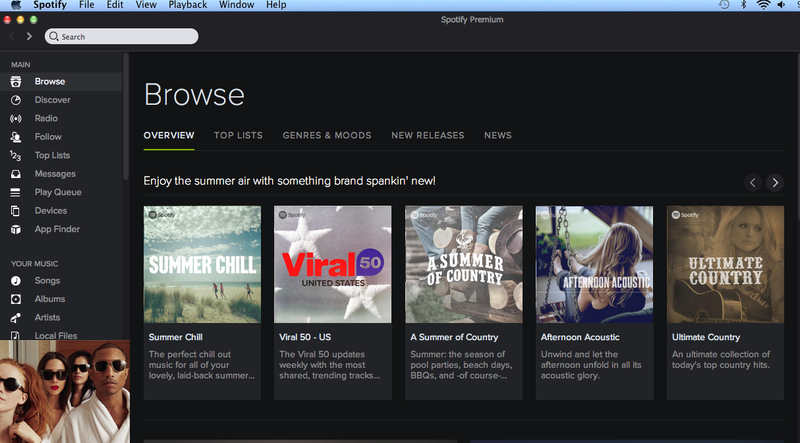 I know I raved about Spotify Premium in last week’s Friday Favourite’s post, but I’ve since had the chance to explore it a bit more. One of my favourite features of the program? The “Browse” section! 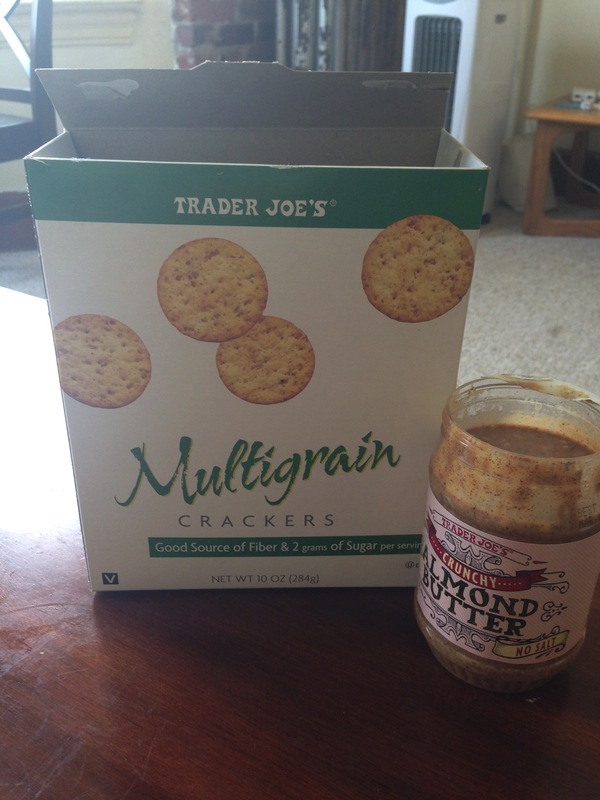 One of my go-to snacks lately has consisted of whole grain crackers dipped in almond butter, or with a few slices of cheddar cheese. 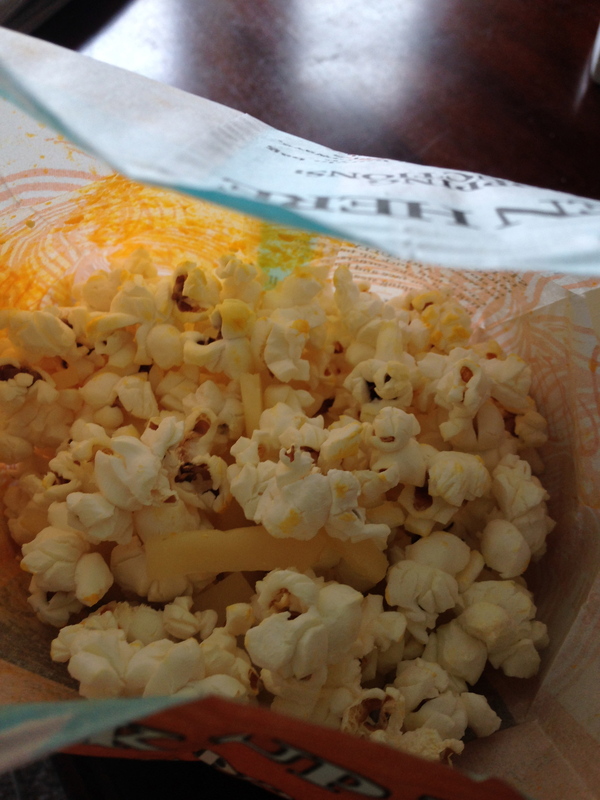 I’ve been doin’ this snack the savoury way, by modifying a childhood combo of mine: rice cakes + melted cheese. 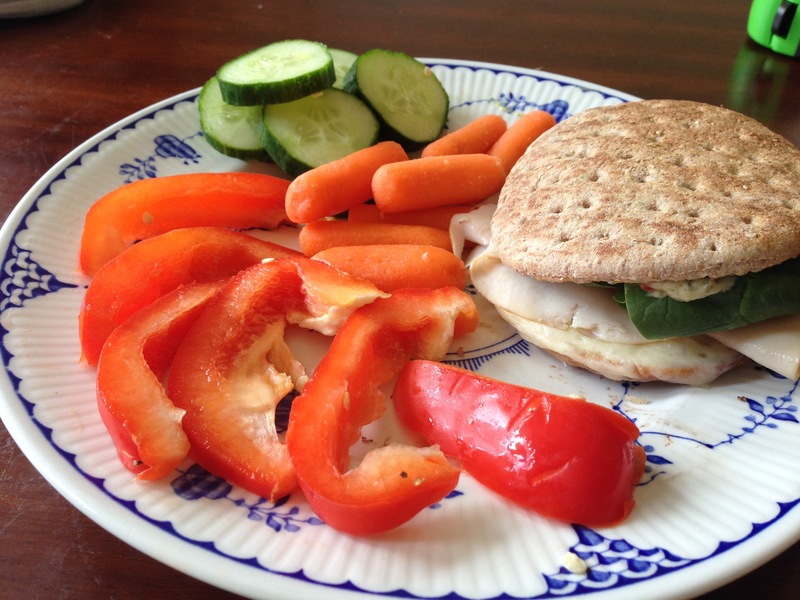 My slightly more grown up version of this includes any combination of white bean basil hummus, sliced turkey, and avocado. Oats + Egg Whites + Protein Powder has been featured almost every morning for the past couple weeks. 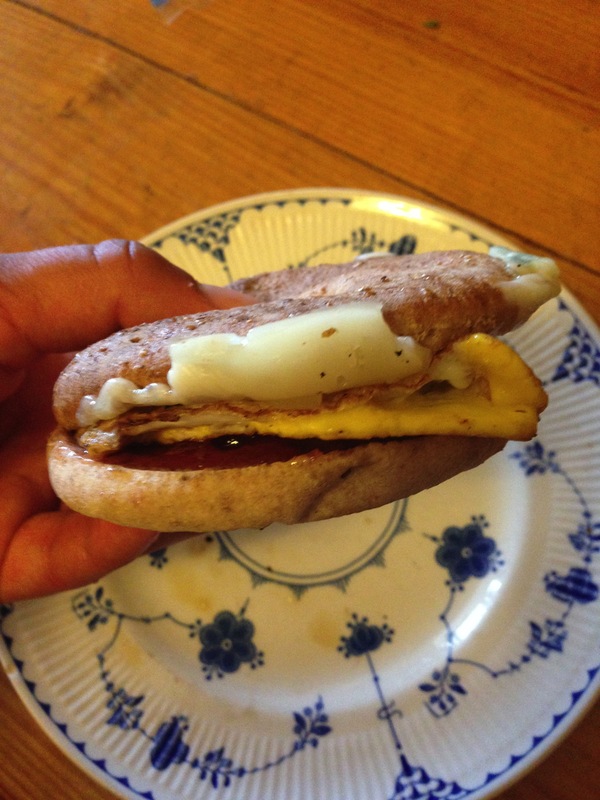 Egg + cheese + jam combo. Stop wrinkling your nose and try it. 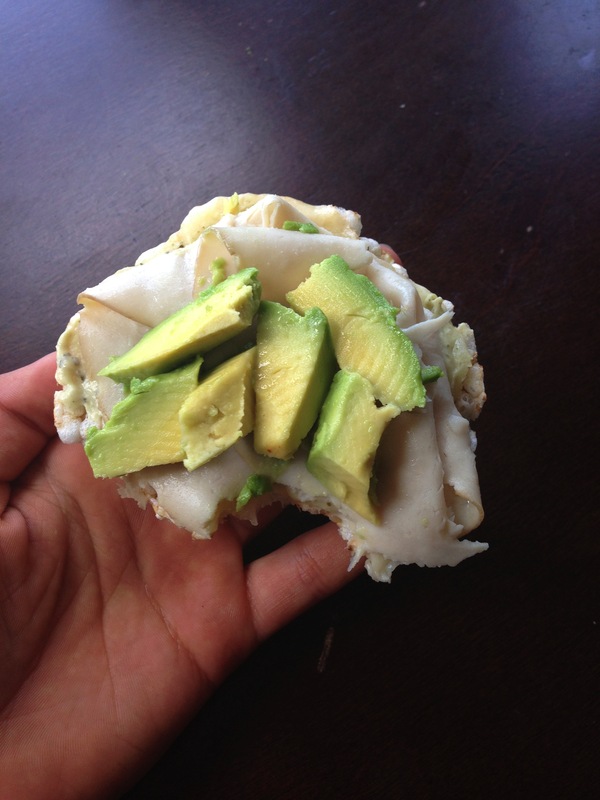 For sandwiches, naturally! I’ve also used them for French toast, and although they’re not quite as dense as normal bread, these little gems are still pretty tasty! This ancient grain resembles a mix between brown rice and barley. 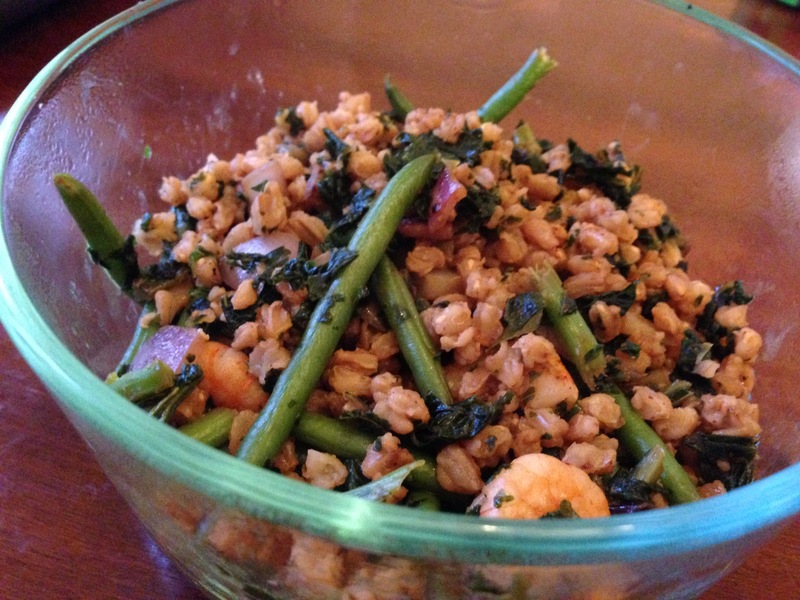 It’s great in a stir-fry, as pictured above, or sprinkled in a yogurt bowl! Red quinoa’s only popped up about 1949302 times on the blog so far, so no surprise here. 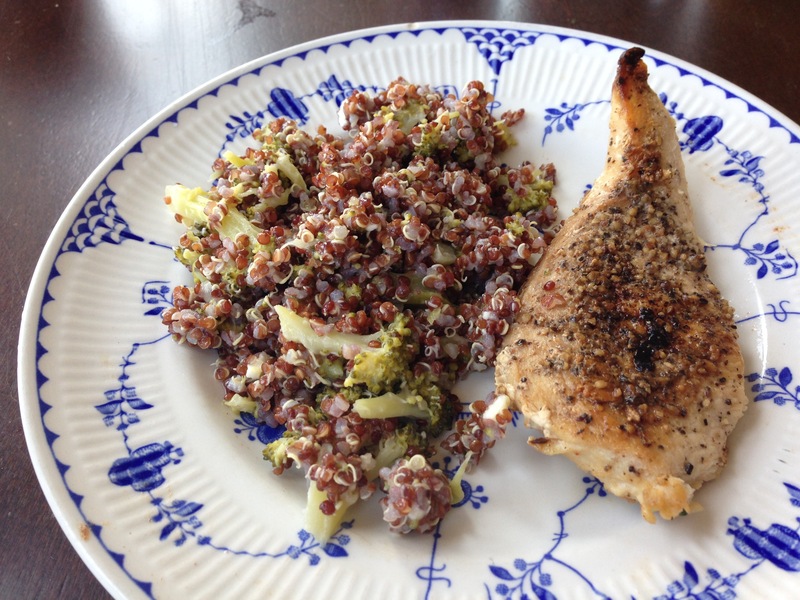 My latest favourite way to enjoy the funny looking grain is as pictured above, as Cheesy Quinoa Broccoli. It tastes like a cookie. 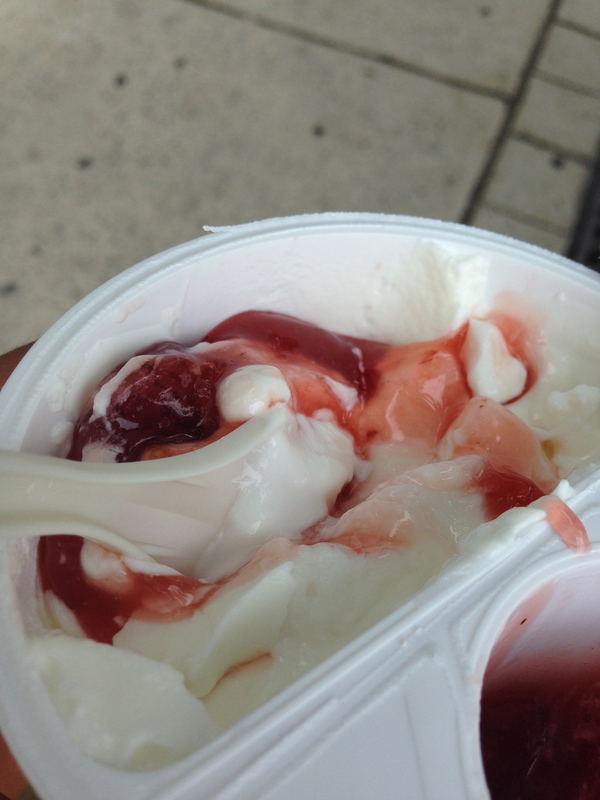 But creamy. And crunchy. This has been poppin’ up at my place as a post-dinner treat, often consumed when I’m reading some really boring fun articles. Got credit card cards, keys, or cash to hold while you run? 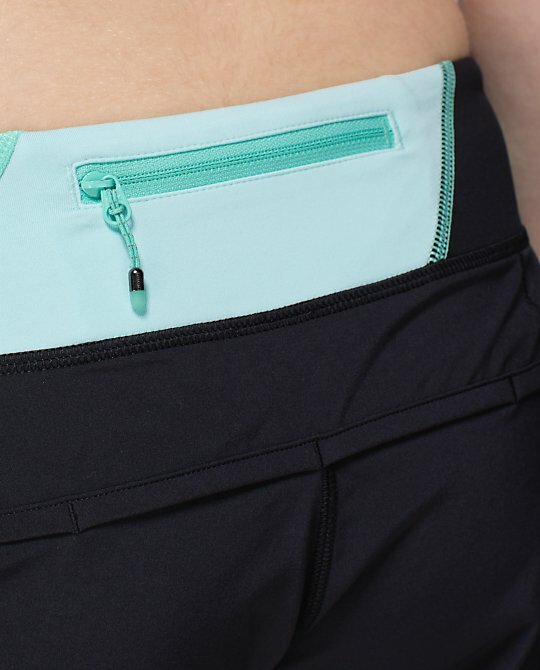 A lot of athletic apparel companies like Lululemon are sewing zippered pockets on to the backs of their workout bottoms for this exact purpose. Although I keep my credit cards/ID in my phone case, I’ve been using a good old fashioned key whilst living in Philadelphia (<- guys, I just said “whilst”. let’s all stop and laugh for a sec), and have been storing it in the back pocket of my shorts. If I didn’t have that pocket, I would probably have to tie my key onto my shoelaces or something, since I don’t have a wrist wallet. I’ve dabbled in the Documentary section (Freaky Eaters), become addicted to a couple of series (Orange is the New Black), and am now expanding my horizons on Netflix once again. My latest discovery? 80’s movies! Who doesn’t love a young, teenage Patrick Dempsey? 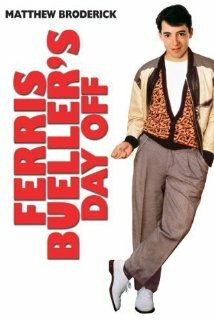 Or Matthew Broderick, aka Ferris Bueller.